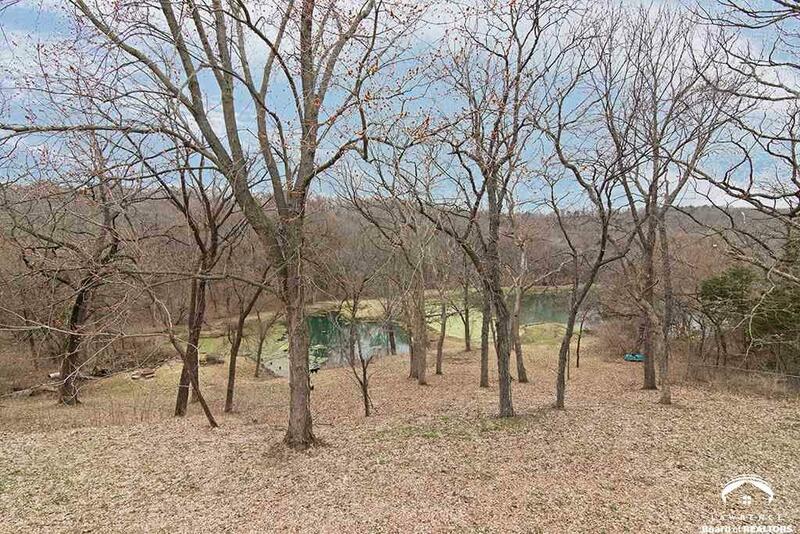 Pleasant Grove subdivision on the south bluffs above Lawrence. 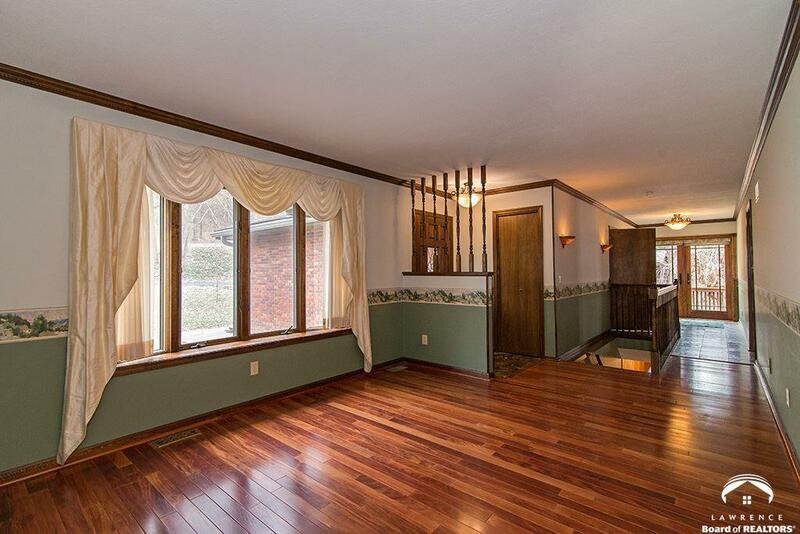 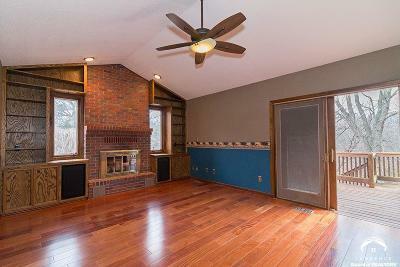 Brazilian hardwood floors on the main level have a gorgeous look. 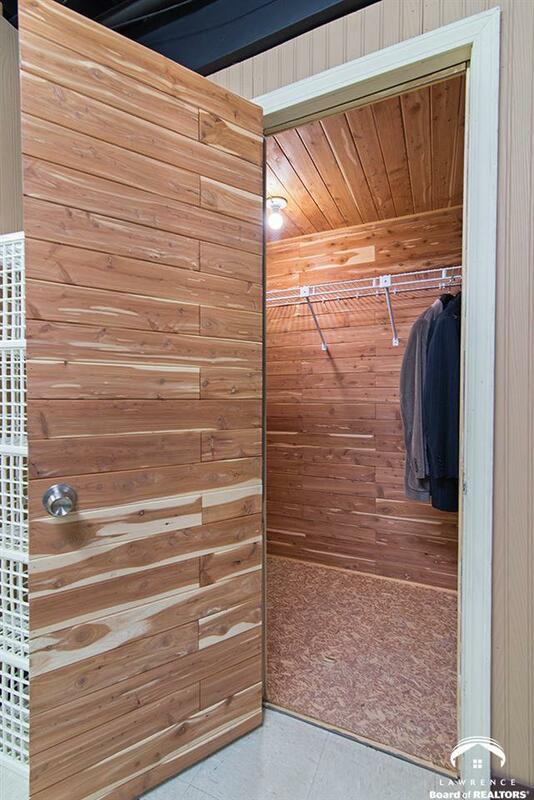 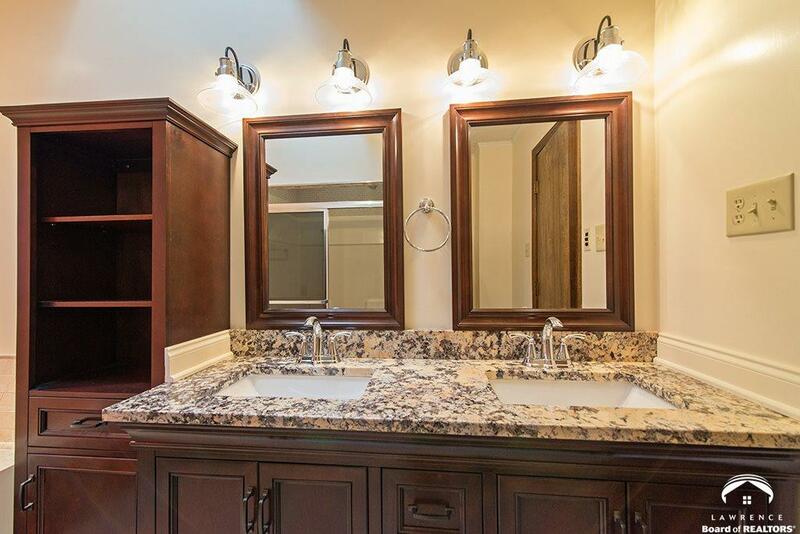 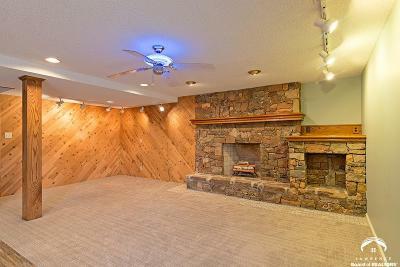 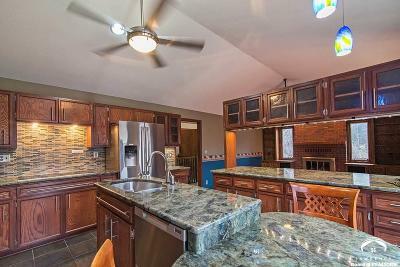 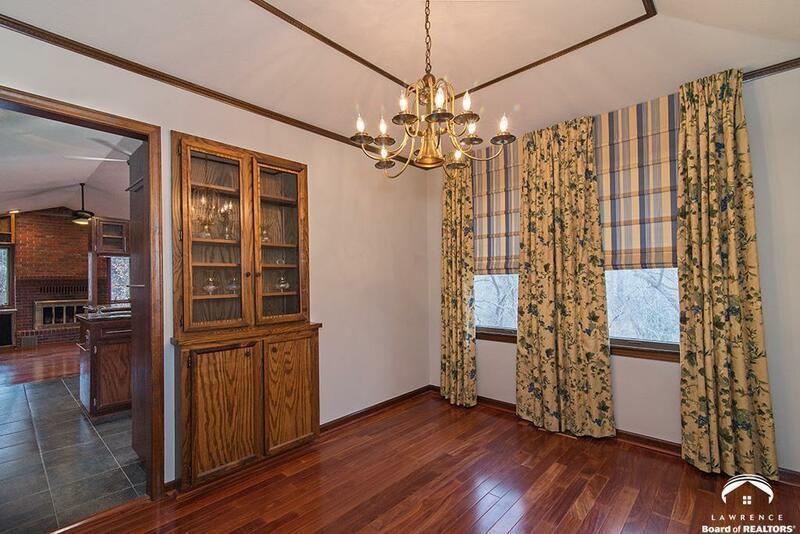 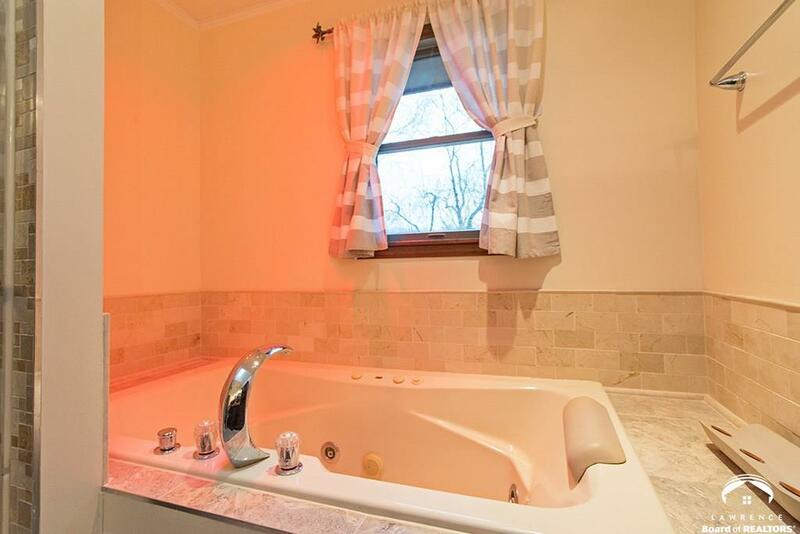 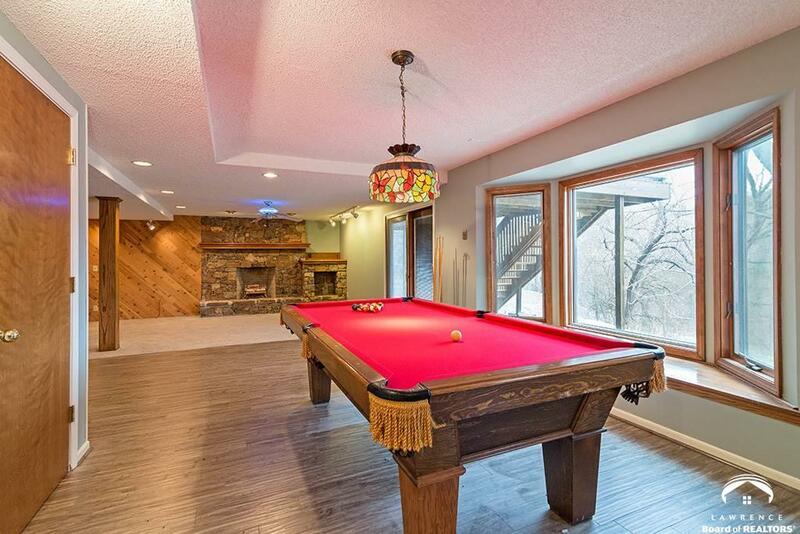 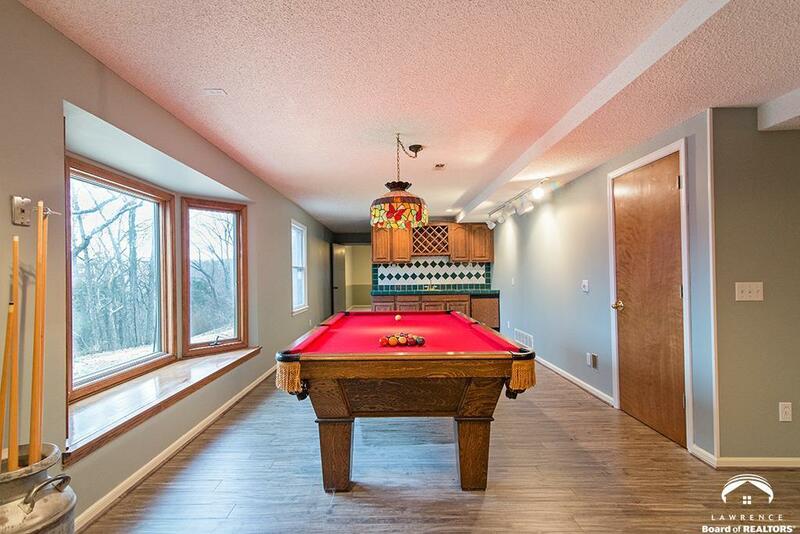 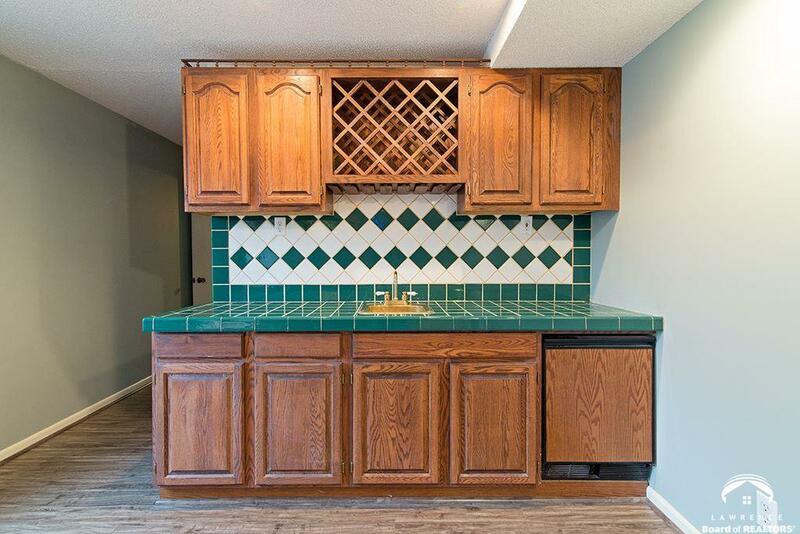 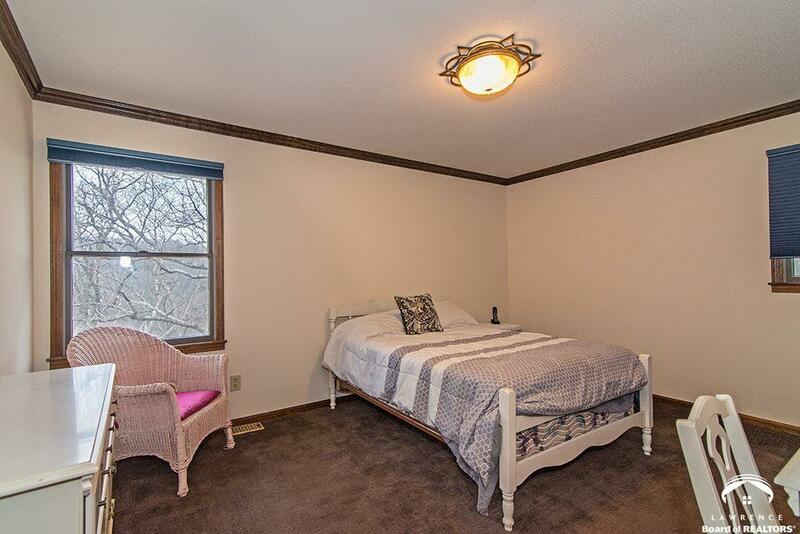 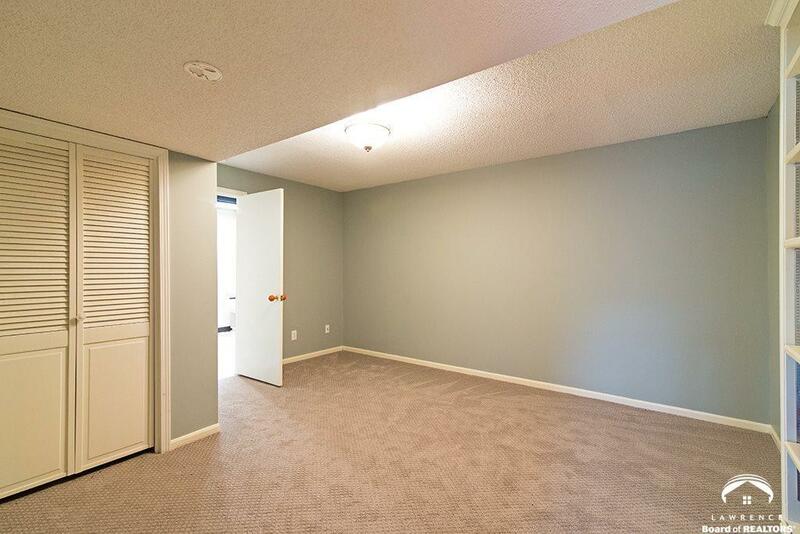 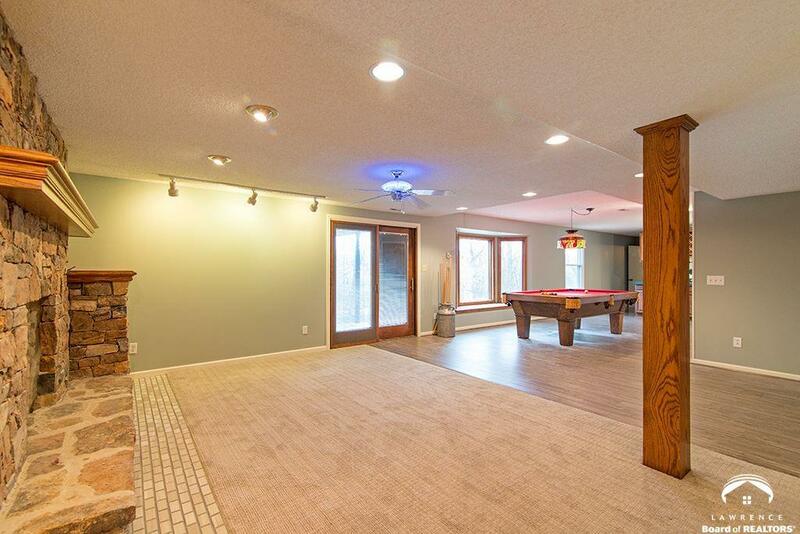 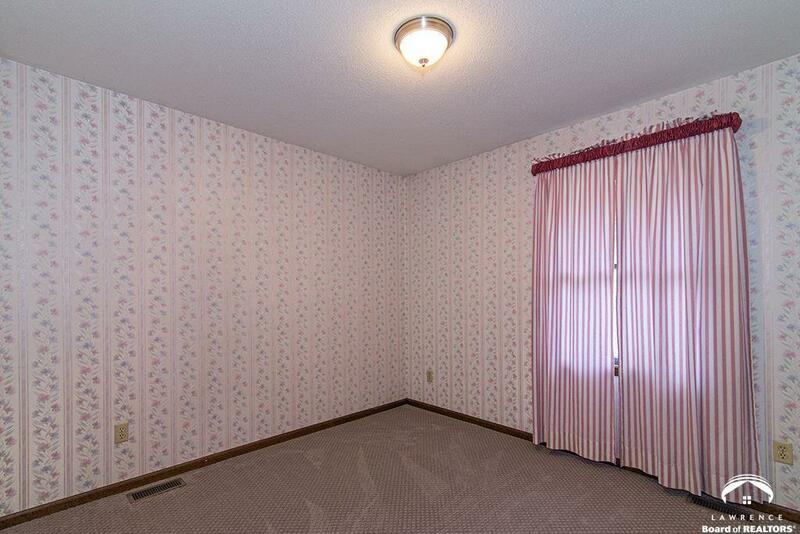 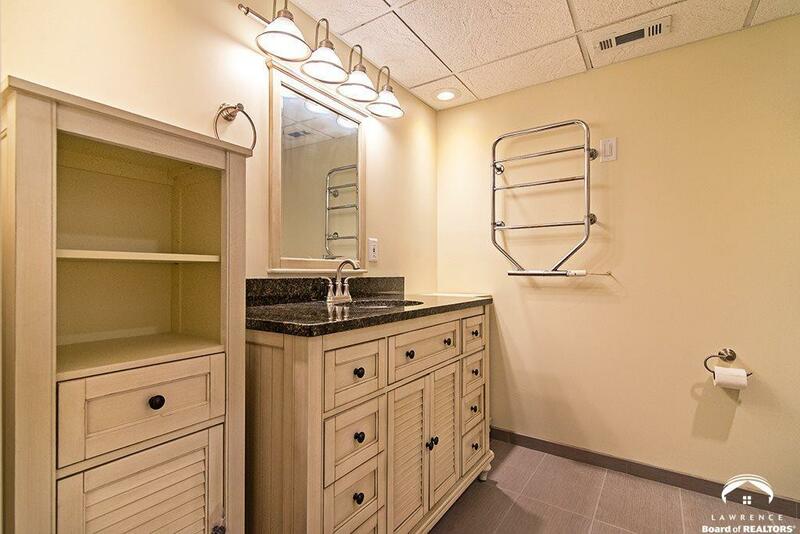 Basement space for entertaining with a pool table area and wetbar + an extra bedroom and non-conforming bedroom. 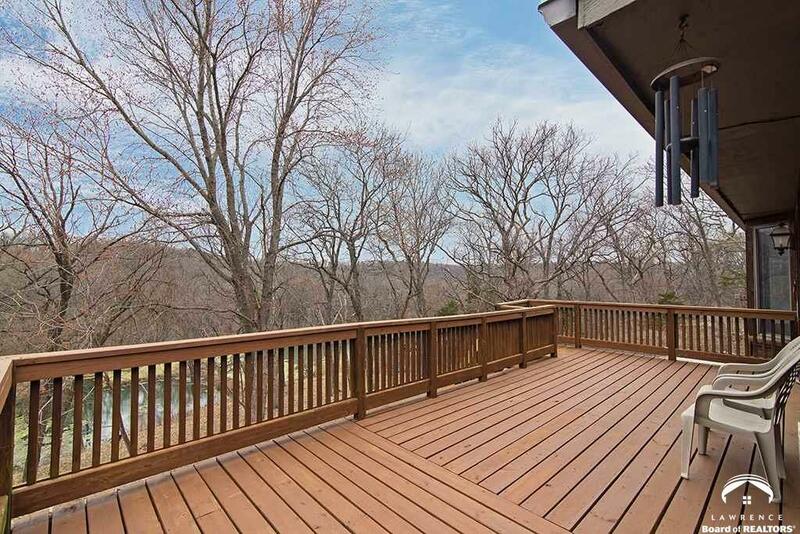 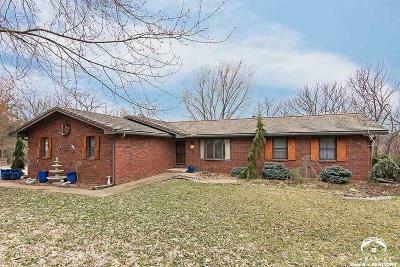 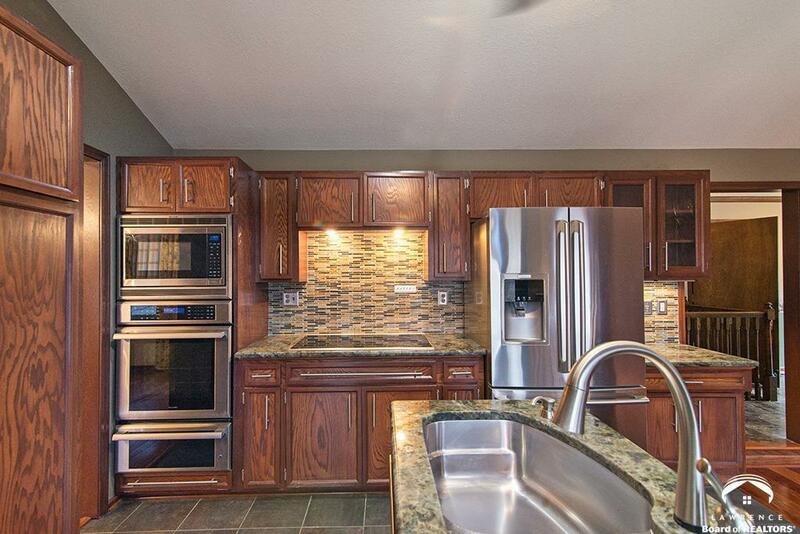 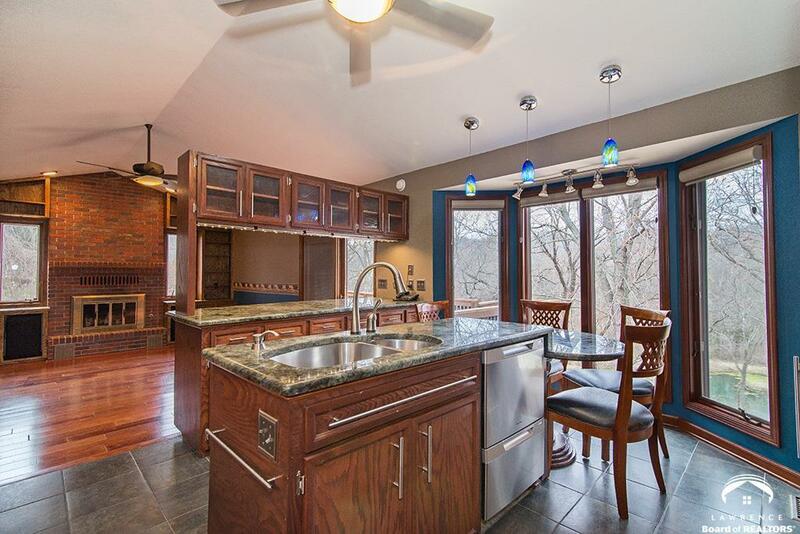 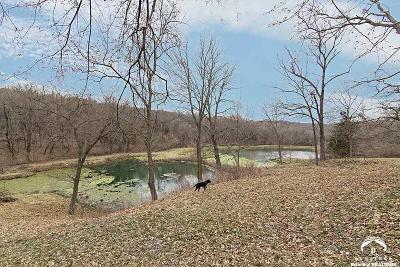 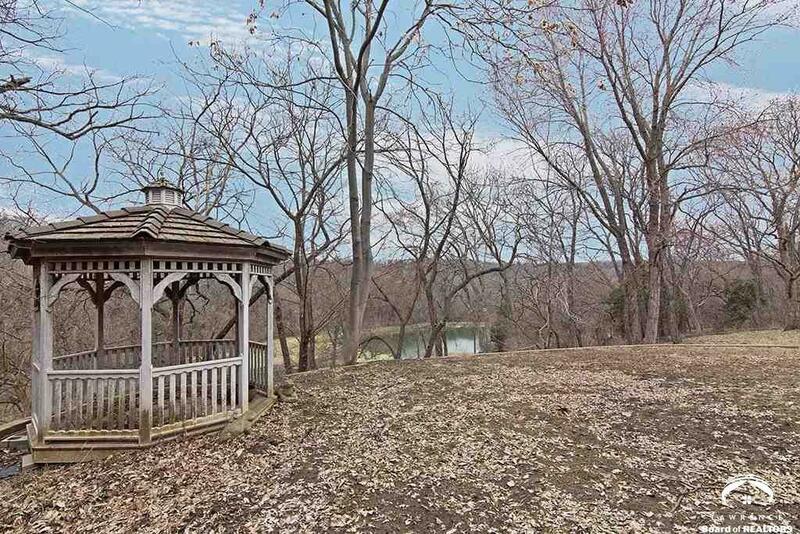 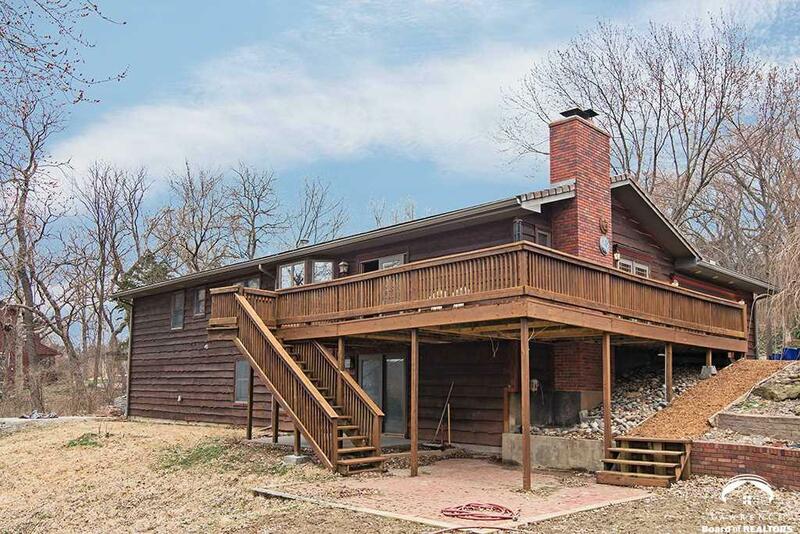 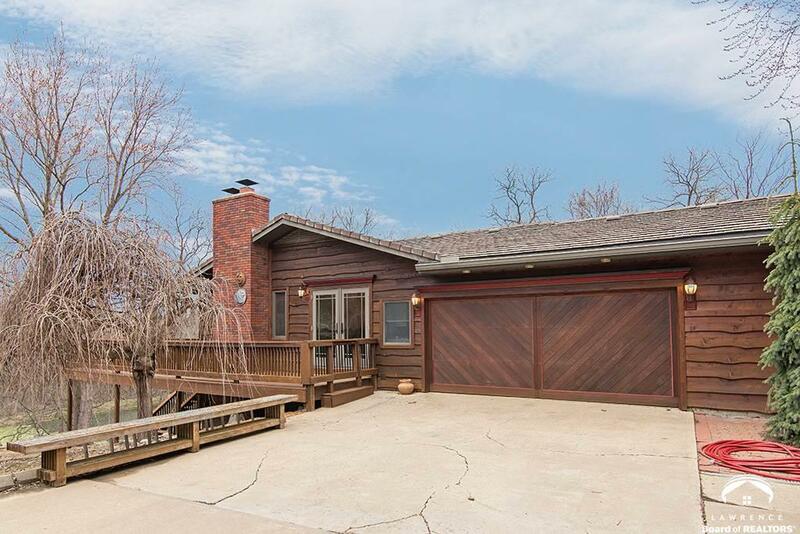 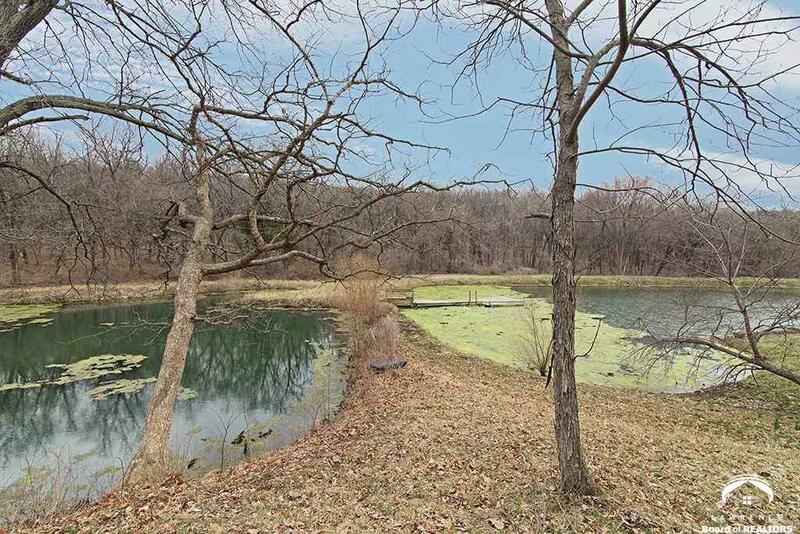 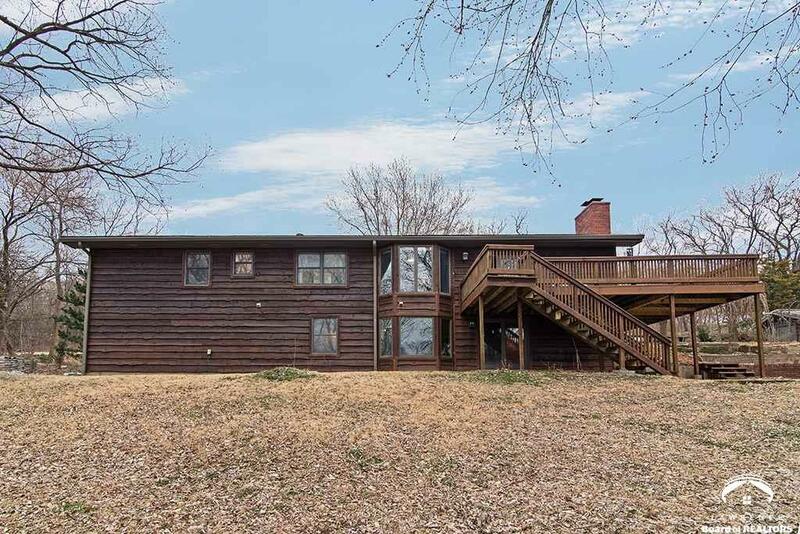 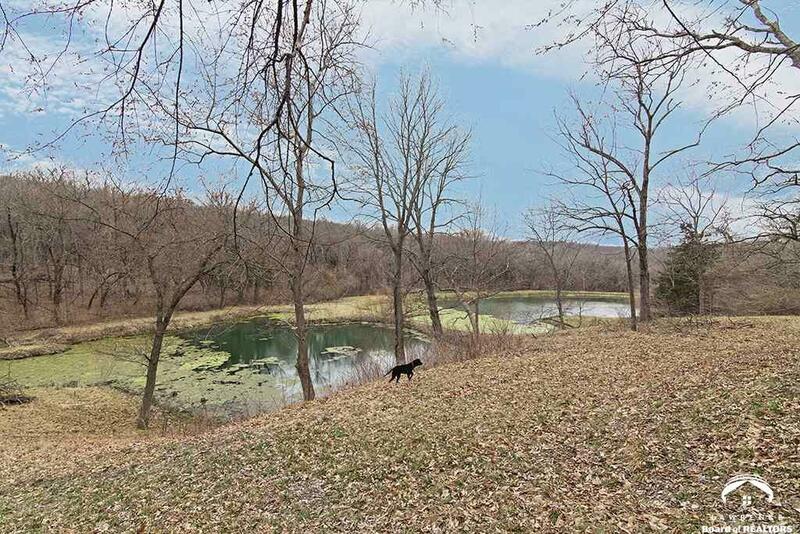 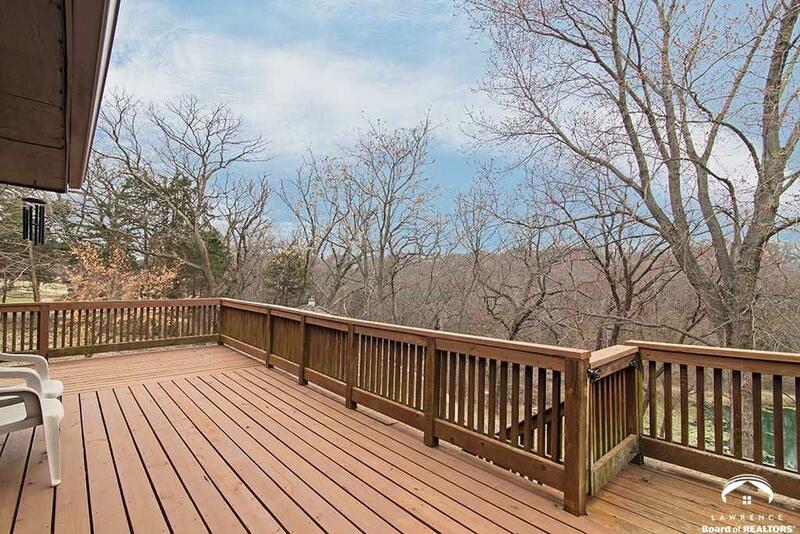 Huge deck to enjoy the summer nights overlooking the wooded acreage with multiple ponds. 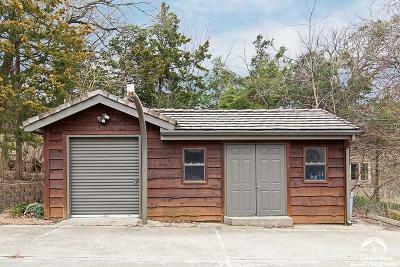 Detached shop for storage and mowers. 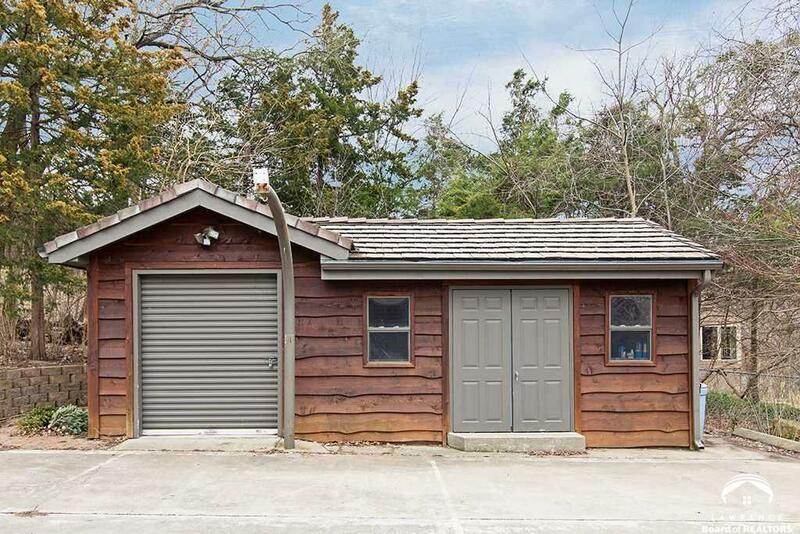 Cement roofs on all.